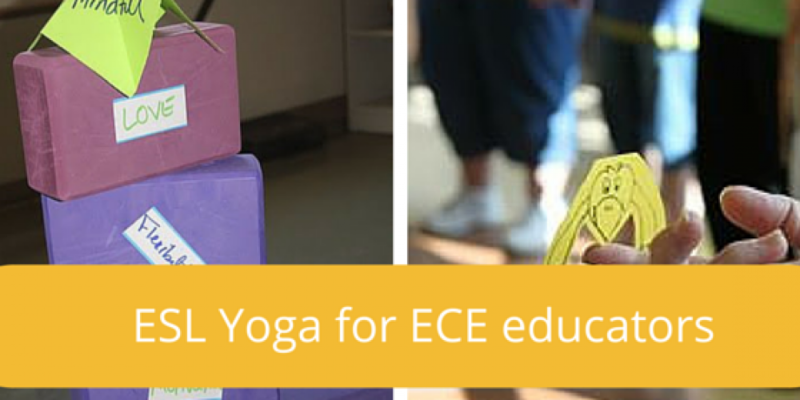 In spring this year I taught a mini ESL Yoga teacher training for ECE educators. I was collaborating with a student placement agency for this course who brought students from Japan who came to Canada for a work placement at a day care. In the afternoon, they joined me to learn how to teach young children English and Yoga. I often wish my parents had told me about Yoga and the benefits of mindfulness. I am sure I would have gone through school with a lot less stress and insecurity! Had I known about Yoga and mindfulness I would have been healthier, more confident and happier in my youth. These qualities came to my life when I was in my late twenties, because this is when my doctor, not my parents or teachers, told me to do Yoga and practice mindfulness. learn how to practice Yoga and mindfulness with your child at home?